September 29 is National Coffee Day! In the U.S., 64 percent of adults drink at least a cup of Joe daily, according to the National Coffee Association, but the stuff is a hit worldwide. To celebrate, we take a look at how coffee is served up in different areas around the world. Though Japan is better known for tea ceremonies, you can also find Kyoto-style cold drip coffee. “This method produces a deep sweetness and a light body,” said Ross Beamish, a trainer for Caffe Vita in New York and Seattle. “First timers are always surprised by the smoky or cask flavor, often comparing the brew to flavors of a scotch or whiskey.” To make this type of coffee, the Japanese have crafted the Oji, a tall machine featuring glass bulbs, brass, nylon netting and stained oak. If you’re in a rush, this isn’t the drink for you. Each unit brews about six cups of coffee at about 48 drips a minute, which means it takes about seven hours to brew one cup. The result is high in caffeine and served in small mugs over ice. Nowadays, Americans don’t blink at the thought of ordering a cappuccino, espresso or latte, though many don’t know much about the drinks. While Starbucks has popularized sweet and sticky caramel macchiato, the true Italian version is completely different. The word “macchiato” means “stained” in Italian, and there, the drink consists of a single shot of dark espresso marked with a dollop of milk foam. 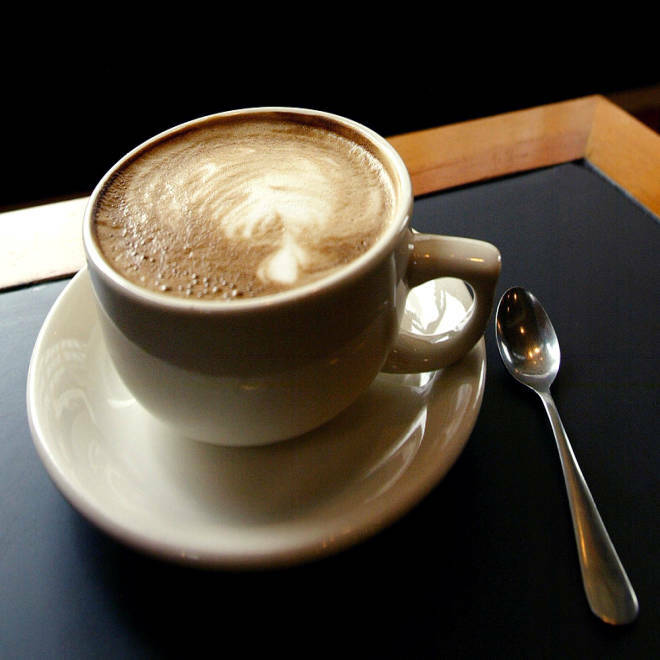 The traditional café latte consists of espresso, steamed milk and milk foam. The cappuccino is stronger with only espresso and milk foam, and the café au lait is just coffee and steamed milk. 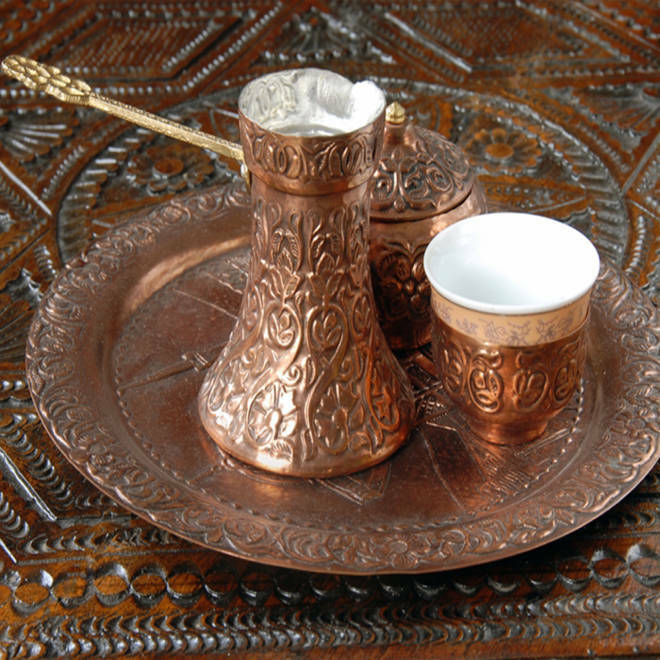 Turkish coffee is extremely popular around the Middle East. Milk actually wasn’t part of the coffee experience until the 17th century when it became popular in Europe. Prior to that, the Arab world had been drinking their brew black, with or without sugar, as most still do. The most famous Middle Eastern version is Turkish coffee, which is composed of roasted beans that are finely ground and boiled in a cezve, a specially designed pot. The liquid is then poured from the pot and into the cup, where the grounds settle into a sort of highly caffeinated sludge. Often sugar is stirred into the brew and the result is a rich, sweet shot of coffee. You can find Turkish coffee all over the Middle East, the Balkans, North Africa, Eastern Europe and Greece. In Sweden, an egg is often added before boiling the brew to help reduce bitterness. Here, it’s not just the beverage that’s important, but taking the fika (coffee break) is a typical ritual that also includes fikabord -- a platter of sweet biscuits, cookies and buns. Swedish-raised chef Marcus Samuelsson would have had coffee this way at home, but in his motherland of Ethiopia, coffee takes on a whole other profile. In his memoir , “Yes Chef,” the Samuelsson talks about going to Africa and being immersed in the smell of coffee. As for the actual beverage, he writes, “Nothing tastes better than Ethiopian coffee; almost everywhere you go, it is roasted right before it’s brewed.” Like the tea ceremonies in Asia, the coffee ceremony in Ethiopia is one of the most important social functions. Commonly, coffee gets served with sugar, but in some regions the host may offer salt instead, or add honey and butter to the brew. Thailand serves up oliang, though we know it as Thai iced coffee. This beverage features coffee with soybeans, sesame seeds and corn, brewed in a thung tom kafae, which is a cloth bag attached to metal ring. The beverage is often served with condensed milk, giving it that pleasing sweetness so many Americans love. Vietnamese coffee features condensed milk. 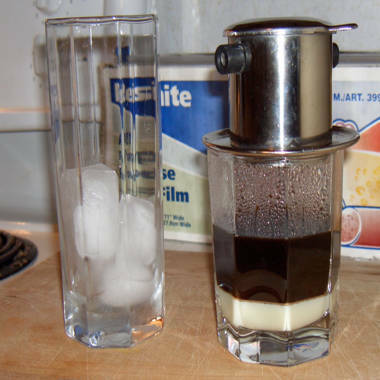 Vietnamese coffee, or ca phe sua da, also utilizes condensed milk. First, the brew is individually made with finely ground, dark roast beans in a metal French drip filter. As the coffee comes out, it settles on top of a thick layer of sweetened condensed milk. Then the beverage gets stirred together and can either be served hot or poured over ice. This is very similar to the Cuban way of making coffee, though instead of using condensed milk, they use demerara sugar. No matter how you brew it, coffee remains a popular beverage throughout the world. Tell us, how do you drink your coffee? Are you a coffee snob or just a caffeine fiend?